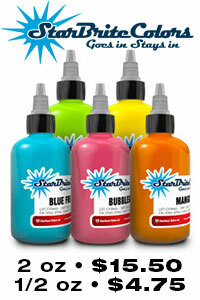 Spaulding & Rogers has been providing quality tattoo supplies since 1956. We manufacture a great deal of what we sell right here in our plant in Voorheesville, NY. Buy American and get all your tattooing and body piercing supplies from a name you can trust. Click HERE for our hours of opperation and additional ways to contact us. For the first time in decades the sandcast Supreme tattoo machine cast from the original mold is available. Complete with hand wound coils on nos fibers and tape. As close to the original as there will ever be. At this time there are limited quantities available. $350.00 ea. Catalog #‎1002ss. Must call to order 1-888-9tattoo. Bill Me Later® through PayPal!